Not to be confused Tubumon, an Appmon species. 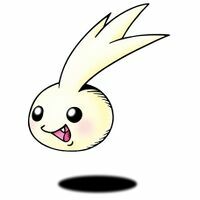 A Baby Digimon which has an appearance like a seed, although it is not a Plant-species Digimon. It cannot fly, but it is able to move over land, water, or anywhere, while hopping and bouncing, and it is said that there is no place where Tsubumon cannot move through. However, because of its small body it is sent flying on days with a strong wind, and as a result of that it is often mistaken for a Plant-species. With its Signature Move "San no Awa", it drives off the opponent. n., Means a grain or drop. Anime/Manga Digimon Adventure 02: "Gigantic Ultimate, Qinglongmon"
3.1.4 Digimon Frontier: Revival of the Ancient Digimon!! Tsubumon is the partner of Hida Iori. 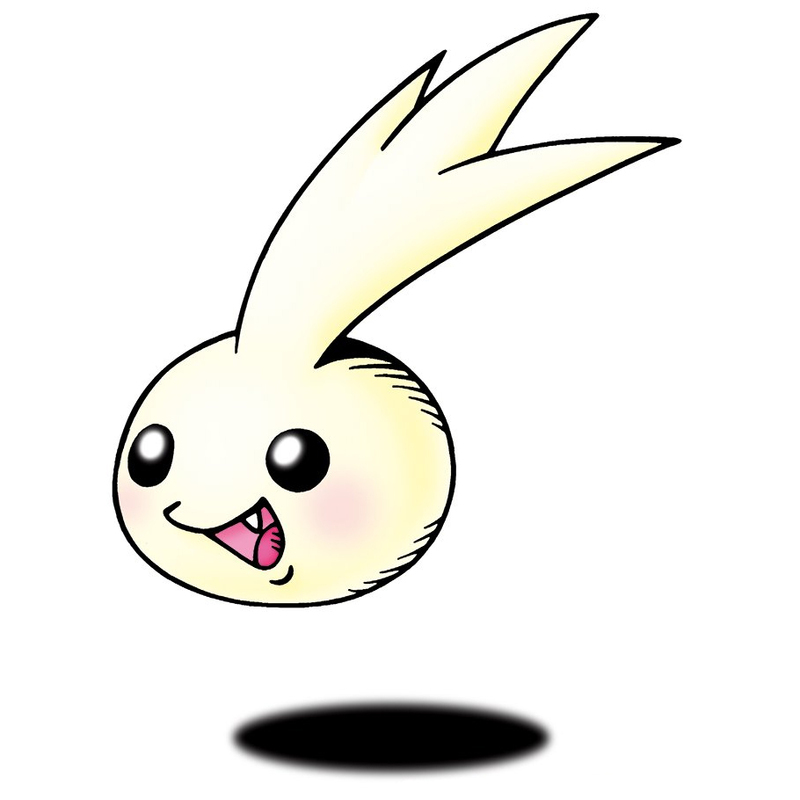 A Tsubumon was among the shadowed Digimon who wanted Makino Ruki to be its Tamer. Digimon Frontier: Revival of the Ancient Digimon!! 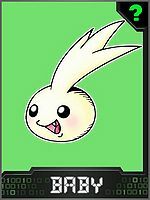 Available as a collectable Digimon Card. This page was last modified on 13 March 2019, at 22:50.